Several years ago a company called EV was producing a series of Prosound speakers that rapidly became a strong seller to the Donk and Box-Chevy customers. These “louds” are mounted in the doors and out the back of the vehicle and were the rage at the time. As fate would have it, EV was bought out by Bosch Corporation and moved all of their manufacturing to Mexico….sure are hearing a lot about this lately. Bosch figured they would just re-do their tooling in Mexico for the molds that make the soft-parts so they left these behind. 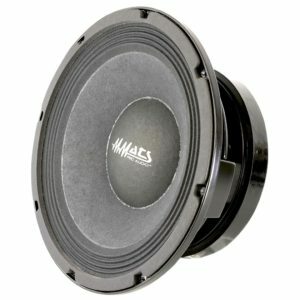 As MMATS builds Subwoofers here in the USA using most of the manufacturers that build these soft-parts, we began to investigate the possibility of sourcing the original parts. After quite the effort, every original part was found and the first Prototype was built. The sound was truly amazing! 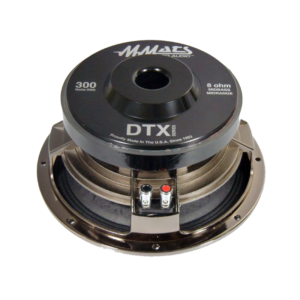 Comparing a full-fledged EV DL10X to our DT10X was stunning. Almost an identical match. From the Voice Coil to the Cone-body to the Spider to the Dust Cover, only the frame and motor structure are different. Everything else is the actual part from EV. This speaker is leaps and bounds ahead of anything from Asia that other companies are touting as “equivalent”. Oh and did I mention, Made in the USA!! Pound to do it…worth the price! They are available in 10”, 12” and 15” models. 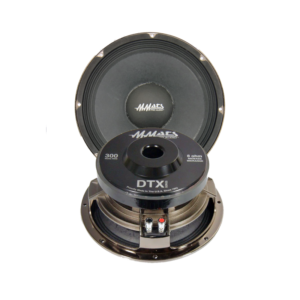 They produce mid-bass and midrange frequencies with exceptional vocals and fast transients. They can reach frequencies of 6000 Hz but we recommend a 12dB low-pass frequency setting between 4Khz to 5Khz.